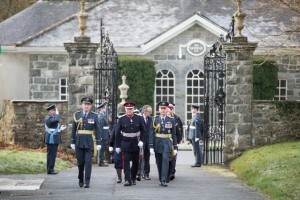 The role played by David Lloyd George in the creation of the Royal Air Force was celebrated at his birthplace in North Wales on 12 January. The commemoration was held to mark the then Prime Minister’s decision to create the world’s first independent Air Force in 1918. 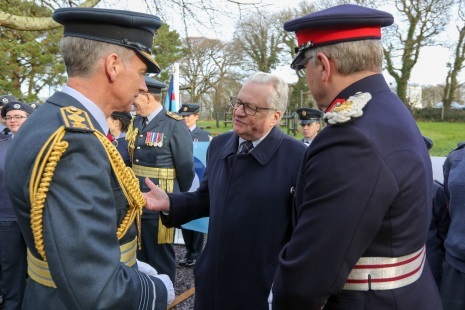 The Minister for Culture, Tourism and Sport, Lord Dafydd Elis-Thomas AM and the Chief of the Air Staff, Air Chief Marshal Sir Stephen Hillier and other distinguished guests were among those at the event, held at the Lloyd George Museum in Llanystumdwy in Gwynedd. 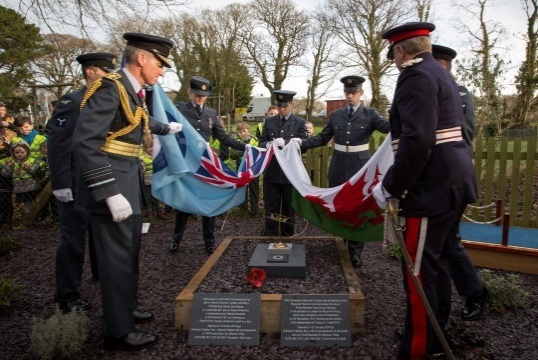 The tribute came as part of the centenary celebrations of the RAF and to highlight the Welshman’s impact on world military history. The day included a flypast of RAF aircraft, exhibitions and displays, the unveiling of a model of a First World War aircraft and the presentation of a memorial book to explain David Lloyd George’s role in the creation of the RAF. The RAF Centenary Memorial Garden in the grounds of the museum was also opened. 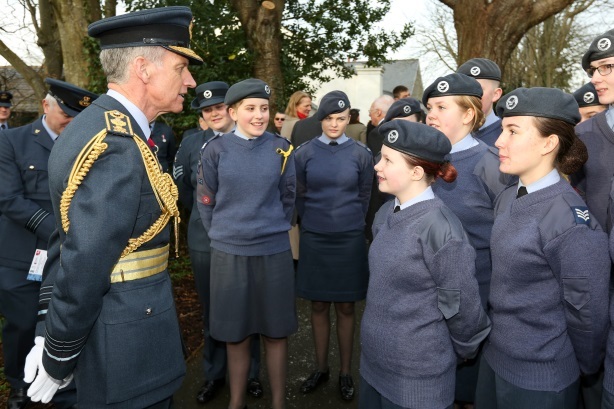 Around 80 people attended, including Air Cadets from Number 1378 Mold Squadron, RAF Valley Mountain Rescue Service, the Lord Lieutenant of Gwynedd, members of the Lloyd George family and the leader of Gwynedd County Council. 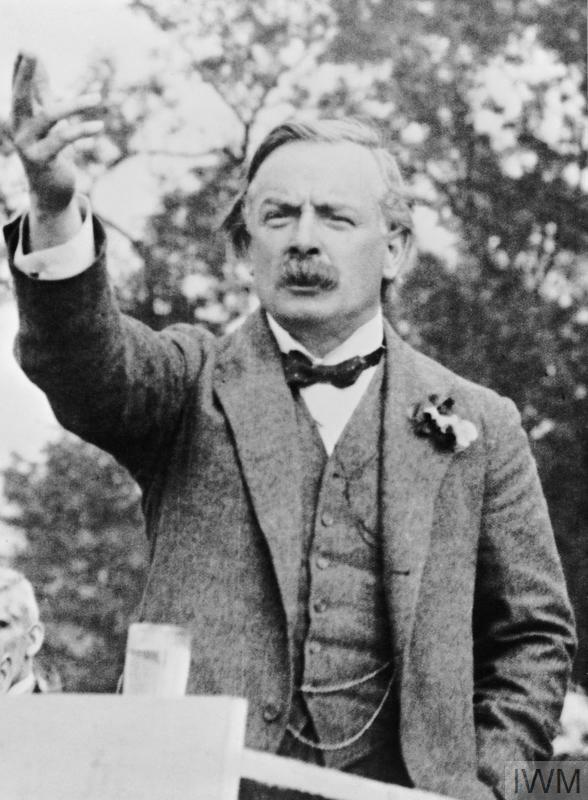 Lloyd George had been one of the first British politicians to take air power seriously. As early as 1909, he warned that Britain was in danger of being left behind by this new technology. By 1917, he saw that air power could be a way to break the bloody stalemate on the Western Front and end the slaughter in the trenches. When the First World War broke out, air power was in its infancy. The first powered flight in an aircraft had only taken place 11 years previously in 1903. But as the war continued into its third year, it became clear that the potential for this new power was not being used effectively. By 1917, aircraft had grown from the flimsy, underpowered and lightly armed craft of 1914 to heavy bombers capable of carrying bomb loads of up to 1,000kg. There was clamour for action too after fighters failed to stop German aircraft bombing London and causing heavy casualties. These raids brought the terror of war to people at home, far away from the Western Front. Although Zeppelin airships had carried out raids on Britain earlier on the war, they were small beer compared to the attacks by the Gotha bombers. Through the summer of 1917, the German planes launched further raids on London killing hundreds. There was dismay at how the air defences and fighters of the RFC and RNAS seemed unable to stop the attacks. Around 1,000 British civilians died as a result of air raids in the First World War and they had a great psychological effect too. During one attack 100,000 rushed to take shelter in the London underground, and on following nights, hundreds of thousands more did the same whether or not there was a raid. That summer, as the raids continued and defences again failed to stop them, Lloyd George saw that existing air power should be bolstered. To this end he tasked General Jan Smuts to investigate and report on the state of Britain’s air power. When he recommended that an independent Air Force and Ministry be created, Lloyd George gave him his full support. The impetus to form the independent air force came also as Lloyd George searched for another way to take the fight to Germany away from the stalemate of the Western Front. While civilians in their hundreds were being killed as German bombs rained down on London, so hundreds of thousands of British soldiers were killed as the Passchendaele offensive ground to a halt in the mud of Flanders. So the idea that there might be a new way of achieving victory and by-passing the trenches appealed greatly to the Welshman. Lloyd George could not have failed to be impressed by Smuts when he said: ‘while our Western Front may still be moving forward at a snail’s pace in Belgium and France, the air battle will be far behind on the Rhine, and … may form an important factor in bringing about peace’. Once the decision was taken to create a separate air arm and an Air Ministry, the Bill was debated in Parliament. Lloyd George told the House how this power could transform the war: “The heavens are their battlefield. They are the Cavalry of the Clouds. High above the squalor and the mud”. The bill to establish an Air Ministry was given the royal assent on November 29. The work then began to create the world’s first independent air force in April 1918. 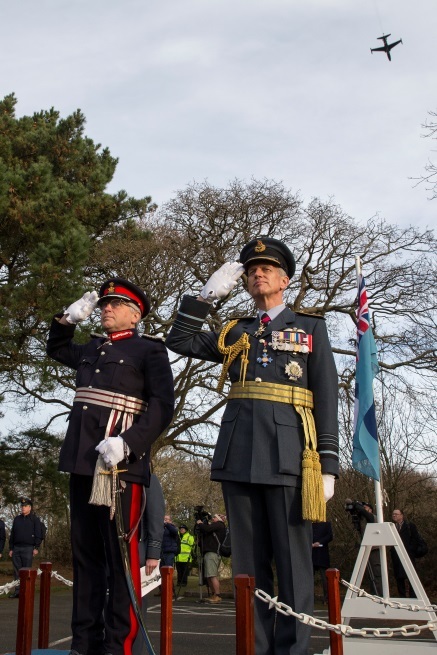 UK Government Minister Stuart Andrew MP said: “From its origins as the first entirely separate and independent national air force, to the cutting-edge fighter, strike and transport aircraft of today, the RAF is rightly recognised as one of the greatest military forces in the world.